Around 2010 it became fashionable to claim that RSS (Really Simple Syndication) was outdated and ready for the scrapheap. The popular shift towards Tumblr played a part in this trend. Many well-read blogs at the time were written by Tumblr users, so this was becoming more prominent as an alternative. Industry followers had noticed that the number of times they opened their feed reader was slowly but surely decreasing. Admittedly, news updates now come very easily from Tumblr and also Twitter, which has gained a staggering 500 million users since its launch in 2006. Although several industry commentators now openly question the role of RSS, it remains an important element and make-up of the web. If you haven’t met RSS yet, you really should! Its impact and role is very involved. It lets you know when a blog, website or any number of other social platforms is updated, without you having to visit them directly. A reader (or RSS-engaged program) can review the feed for changes and react to them as and when you choose. For instance, via RSS feeds you might be able to keep up-to-date with blog posts, media coverage, news, press releases or video. Think of it like a personal newspaper that delivers what you want, accessible from one place. More information on what exactly RSS is and how it works can be found at WhatisRSS.com and also Wikipedia, which has detailed information of the type of RSS readers you can use. But what are the business benefits? The most obvious reason to use RSS is to boost your blog or website’s traffic. When you use RSS you are noticed by search engines and RSS directories – and this alone can enhance your traffic massively. You will be pleasantly surprised at how much more traffic you will receive if you decide to utilise RSS on your site. As well as adding it to the search engine, you may end up achieving a stronger position in the search engine. Another compelling reason to use RSS is to keep it fresh! It’s an easy way to make your site current and appealing. Use RSS to update your site with brand new content, without writing it yourself. 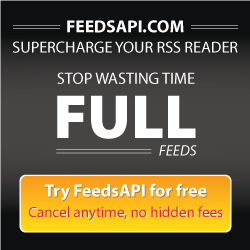 You can apply RSS feeds that automatically shake up the content for you. With RSS, every time this happens, search engine spiders will detect the fact you have new blog content appearing. Bear in mind, though, that when using RSS, your website content will be out there for others to publish it on their sites. They may have to give you credit, but they will still be able to put it on their site – and not all site owners will feel comfortable about this, even if it does bring greater exposure for the business. Nevertheless, having people access your webpages from other sites will only serve to boost traffic, resulting in new customers. This advantage of RSS seems unlikely to change in the near future, which is why it well worth experimenting with. See YouTube or Vimeo for tutorial videos, if you need further advice on getting started!